Appearance: Light amber color with a golden shine. Aromas and flavors: Intense fruit aromas, apricot, marmalade and vanilla. Texture and finish: Silky, smooth and well-balanced. 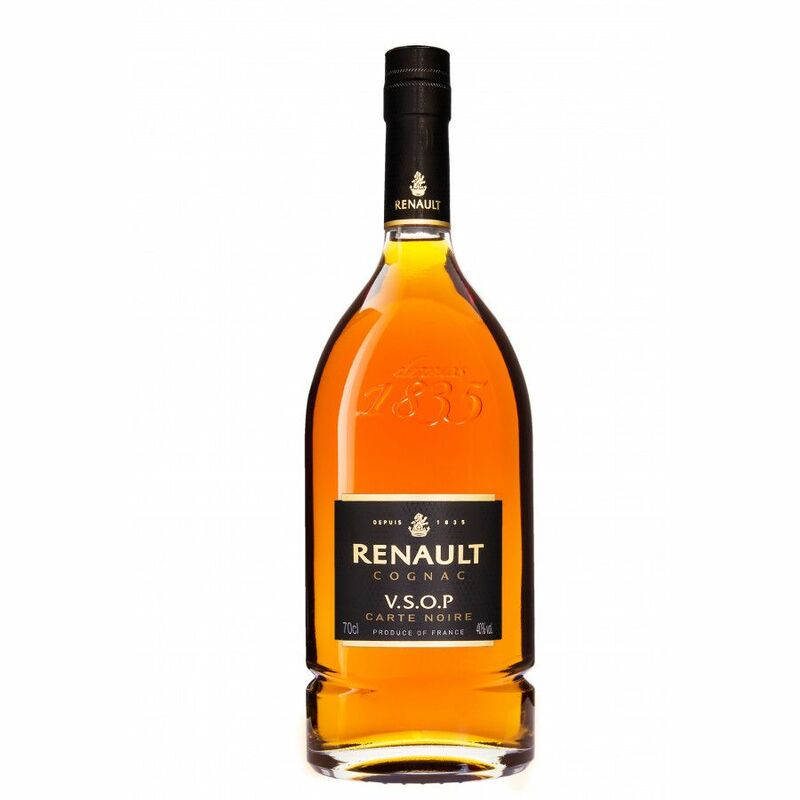 The Renault Carte Noire VSOP Cognac is created using a recipe that was created in 1876. Still used today, this is one of the oldest recipes in the world. Smooth, rich, and elegant, this VSOP is made using eaux-de-vie from Grande Champagne and Petite Champagne, along with some complexity added by that of Borderies. To finish it off, and add intensity and fruityness, cognac from Fins Bois and Bons Bois are added into the blend. This is a top notch VSOP quality cognac - and it really does represent outstanding value for money. A great cognac to own, it's equally as good neat or as a special addition to your favorite cocktail. Or if you fancy a slightly different taste experience, why not try over a ice. A cognac that's a treat to have in any drinks cabinet, it really is an ideal gift for the cognac lover.